Stating a concern for people and the environment as the biggest influence on her view of the world, it’s no surprise that social change formed the basis of Bethany Williams’ graduate collection at London College of Fashion. For her current collection – aptly named Breadline – Williams collaborated with Vauxhall Foodbank and British supermarket Tesco to highlight and find solutions to “hidden hunger” in the UK. 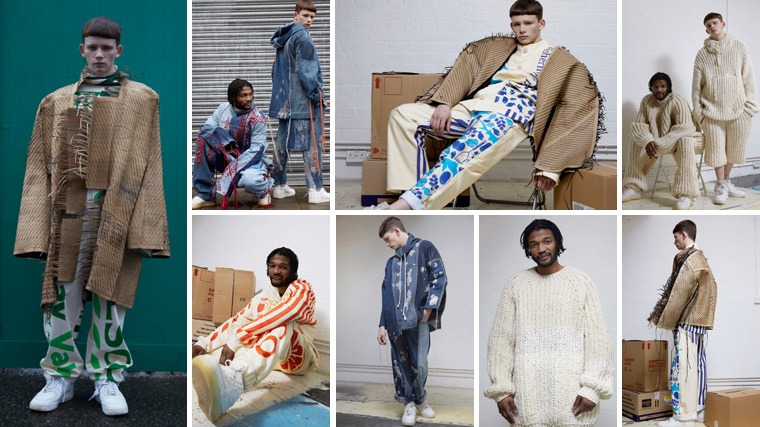 Made using waste material and recycled cardboard, the collection is 100% sustainable and features playful ‘Tesco Everyday Value’ prints, handcrafted knitwear and embroidered denims. As part of the project, Williams also helped to develop an exchange programme, where waste items collected from food banks and food bank users’ households are swapped for fresh fruit and vegetables from Tesco. Thirty per cent of the profits from the finished garments will also be donated to Vauxhall Foodbank to fund the exchange programme. This inspiring alternative to contemporary clothing production makes Williams a definite one to watch in the future of sustainable fashion. For more information on her work, check out her website. 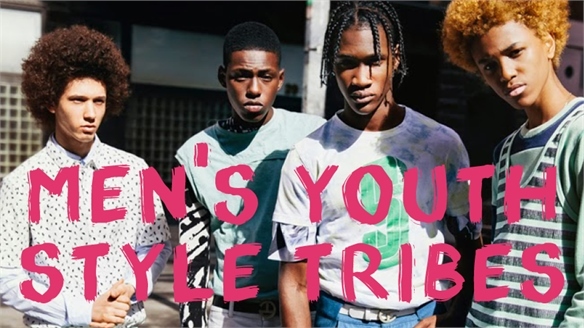 H&M World Recycle Week Featuring M.I.A H&M World Recycle Week As part of this year’s World Recycle Week (April 18-24), Swedish high-street fashion giant H&M is aiming to collect 1,000 tonnes of unwanted clothing from customers through its 3,600 stores worldwide. 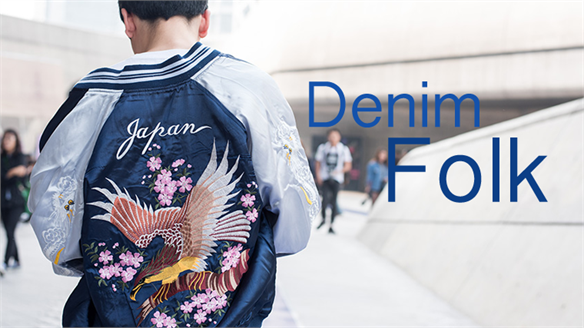 From technical denim knowledge to a love of Japanese workwear, meet the tribe whose look is all about honesty, ethics and heritage. 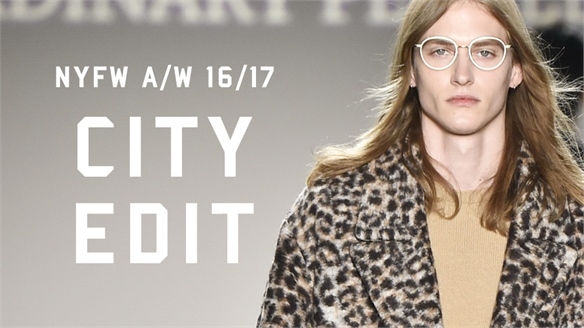 A/W 16/17 Menswear: New York City Edit A/W 16/17 Menswear: NY City Edit The A/W 16/17 menswear shows closed in New York with some strong street-inspired looks and an emphasis on casual skate-style layering. 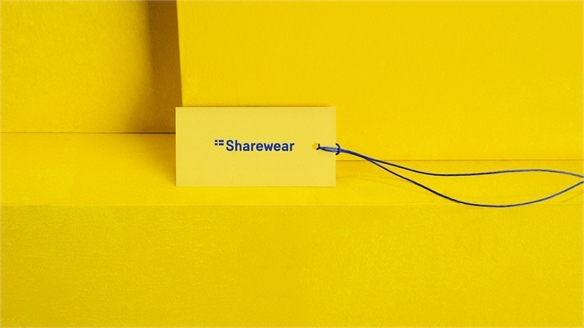 Sharewear: Sweden’s Clothes-Sharing Initiative Sharewear: Sharing Initiative In a bid to inspire a more sustainable approach to fashion consumption, Visit Sweden and the Swedish Institute have collaborated with well-known Swedish designers – including Weekday, House of Dagmar and Filippa K – to create a ‘ready-to-share’ collection. 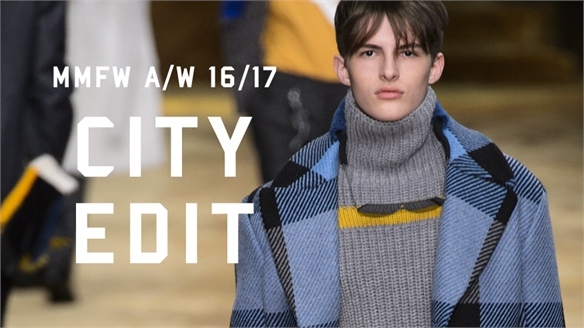 A/W 16/17 Menswear: Paris City Edit A/W 16/17 Menswear: Paris City Edit The latest round of menswear shows confirmed the mood for cocooning and protection as themes around unrest continued to dominate trends on the runways. 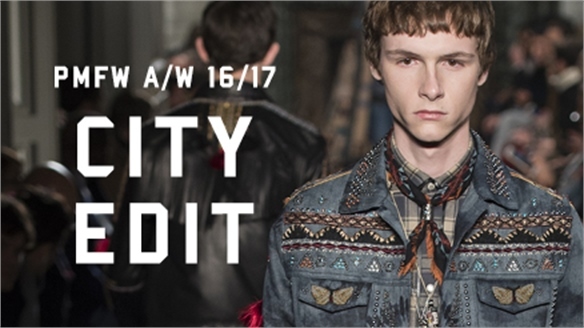 A/W 16/17 Menswear: Milan City Edit A/W 16/17 Menswear: Milan City Edit The second round of A/W 16/17 menswear shows saw the Milan designers back the mood for protective outerwear, contrasted with the emerging trend for flamboyant embellishment. 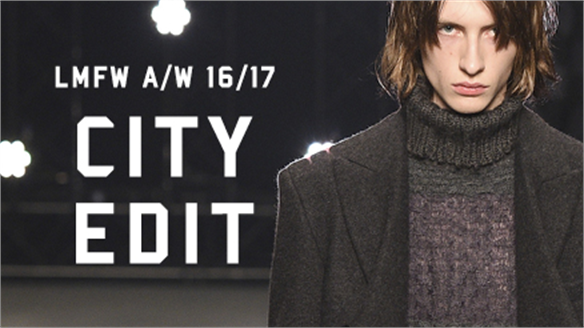 A/W 16/17 Menswear: London City Edit A/W 16/17 Menswear: London Edit The A/W 16/17 menswear season kicked off with strong trends on the London runways, with designers taking cover behind big protective shapes and cocooning fabrics. 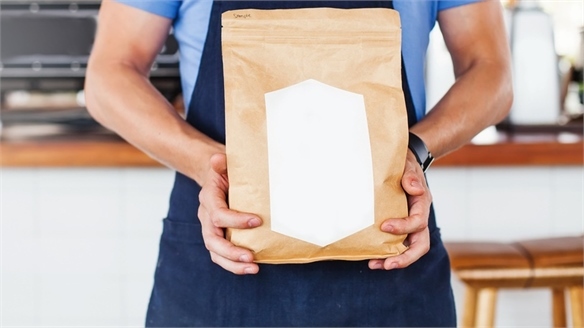 Millennial Packaging Strategies Millennial Packaging Strategies Four-fifths of millennials worldwide say packaging is an important factor when making purchasing decisions (Stora Enso, 2015). Ahead of our Packaging Futures 2016-17 Industry Trend, which will be published on January 12, we round up the millennial traits and attitudes brands should be aware of when shaping product packaging strategies for this demographic. 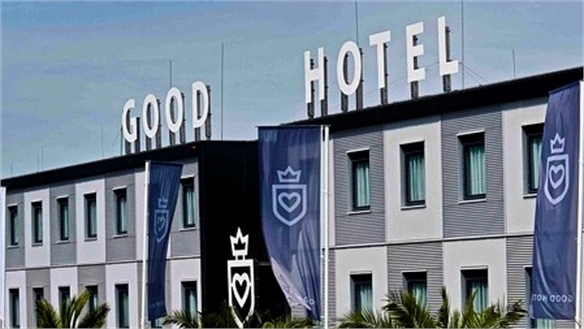 Doing Good Doing Good Social good is becoming the new standard for conscious consumption, just as eco concerns did a decade ago. Corporate social responsibility has evolved from a badge of honour for companies to a basic consumer expectation, while a new wave of social entrepreneurs are showing big brands and charitable institutions how to have real social impact. Mainstream Brands Do Sustainability Mainstream Brands Do Sustainability This year's Sustainable Brands conference in London (November 16-18) played host to a range of global brands, proving that sustainability is no longer a niche issue – it's integral to a brand's success. 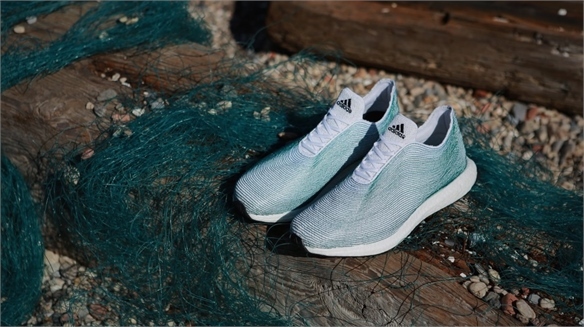 In 2014, brands that were committed to sustainability grew sales by 3% more than companies without this focus, according to Claudia Suarez, partner at global market research firm Nielsen. 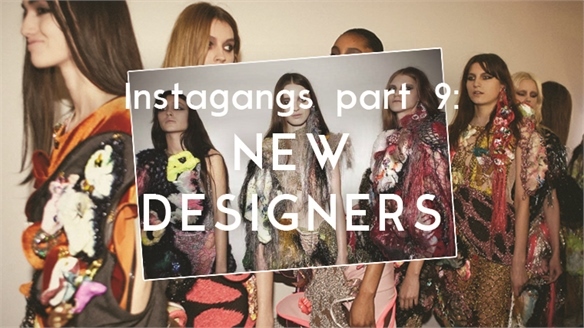 Instagangs Part 9: New Designers Instagangs Part 9: New Designers Check out the Instafamous new designers you should be excited about now. 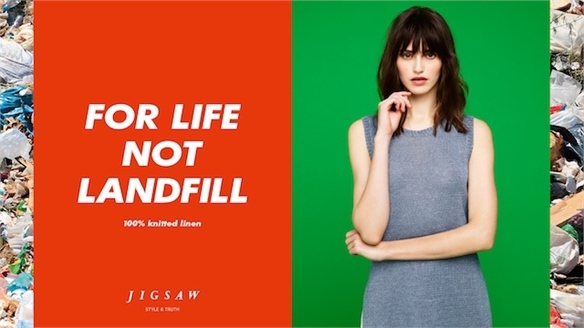 Jigsaw’s Anti-Waste A/W 15-16 Campaign Jigsaw’s Anti-Waste A/W 16 Campaign British clothing brand Jigsaw has unveiled an Autumn/Winter 15-16 advertising campaign that encourages consumers to celebrate stylistic longevity over seasonal trends, which are contributing to huge amounts of waste. 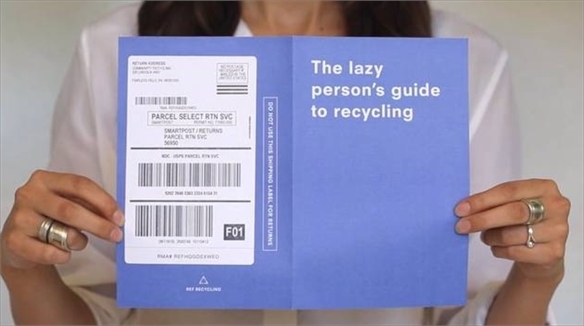 About £140m ($215M) worth of used clothing, equivalent to around 350,000 tonnes of material, goes to landfill in the UK every year, according to the British Waste & Resources Action Programme (WRAP). 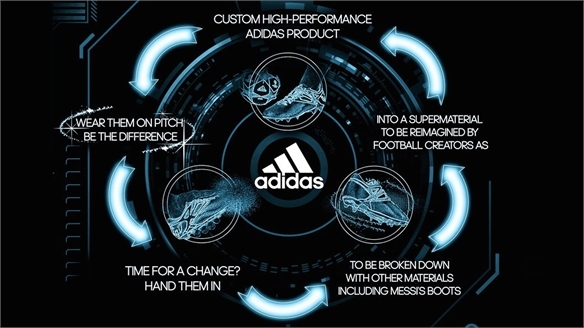 Adidas: Sport Infinity Recycling Programme Adidas Sport Infinity Recycling Adidas has launched a three-year materials research initiative called Sport Infinity, which seeks to create a more efficient way of recycling sportswear.